The famous beer ‘Delirium Tremens’ was born in Melle in 1988. The history of the brewery however goes back for centuries. Ever since 1654 there has been brewing activity on the site of the ‘Appelhoek’ in Melle. In 1902 the Huyghe family came into the picture. Originally from Poperinge, Leon Huyghe had always been fascinated by the world of beer and brewing. He married Delfina Van Doorselaer, a brewer’s daughter from Wolvertem and started working in the Appelhoek brewery in 1902. Only four years later he became owner of the brewery in Melle and named it ‘Brouwerij – Mouterij Den Appel’. During the first World War the brewing coppers were claimed by the occupying forces, but Leon replaced them as quickly as possible. In 1936 the construction of a new complex started along the Geraardsbergesteenweg. The building was finished in 1939 and contained a new brewing house. 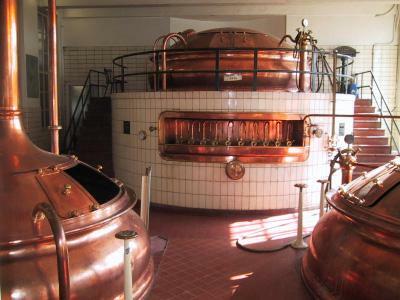 Today the copper vessels are still the eye catcher of the brewery. Over the following years, the brewery reached great successes with the production of traditional low fermentation beers and in 1964 a modern bottling line was built. During the 1970s sales declined and the brewery was radically reformed in 1985. The restructuring of the company was supported with considerable financial investments and the production was switched to high fermentation beers. On December 26th 1988 the famous Delirium Tremens was born. The beer has a unique character and taste with hints of peppery spices and citrus. 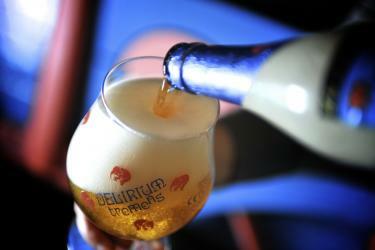 With its unique branding and high quality, Delirium Tremens has become the flagship beer of the brewery. The pink elephant soon took over the world and has claimed numerous awards around the globe. In 2008 it was rewarded as the ‘Best Beer in the World’ at the World Beer Championships in Chicago. Today the brewery has an important focus on the environment and wants to be the most sustainable brewery in Belgium. 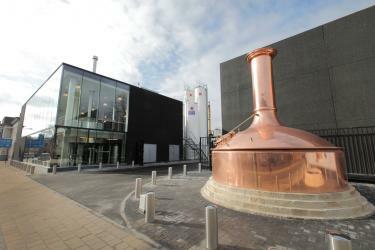 The new brew house enables the brewery to save on electricity usage and water consumption. Huyghe generates about 10% of its energy from solar power and wants to double that figure in the next three years.